We hope this website will provide you with useful information as well as celebrating the work of the school. 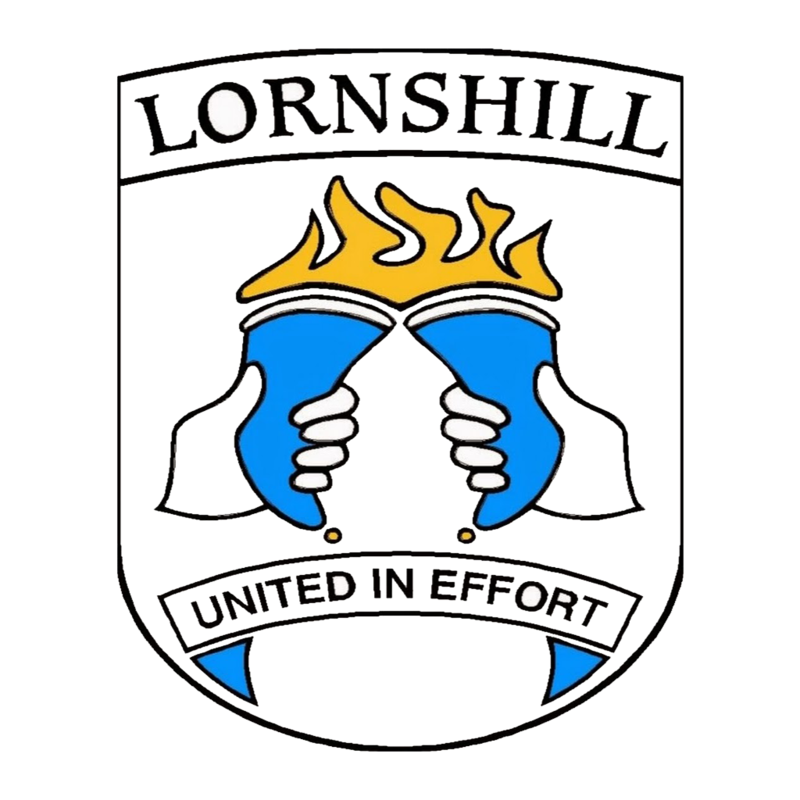 I am very pleased to welcome you to Lornshill Academy’s website. I hope you find it informative and easy to use. We have streamlined our approach to communication using both our website and our new school app. Together, they provide the means for us to keep you up to date with the information you need, when you need it. We look forward to engaging more with you as we continue on this journey. Lornshill Academy is a six year comprehensive school, situated between the village of Tullibody and Alloa with a student roll of around 1130. Within our learning community we are fully committed to providing opportunities for every pupil to achieve success, to make friends, to discover new talents and to develop new skills. We offer opportunities for your child to take part in a wide range of activities including sports, music, drama, and cultural activities in addition to the academic life of the school. In return we ask that your child shows us commitment, works hard, sets high expectations and takes responsibility for supporting our school community. Our teachers, support staff and many partners are hard-working, caring and devote many hours of their time to providing excellent learning experiences including clubs and activities outside the normal school day. Positive relationships with all our partners are core to our success and you will always be made to feel welcome within our school. Nominations can now be made for some of our special awards that recognise the wider achievement of our young people. Look in the News section to see a list of eligible awards then use the Contact section to email us your nominations by Thursday 25th April. The S6 Graduation will take place on Tuesday 23rd April. Tickets will be on sale tomorrow and will be priced at £2 per pupil. Please see Miss McEwan if you require any other information. Any S5 pupil wishing to apply for next year's Top Team should submit a 200 word application via email to lornshill@edu.clacks.gov.uk by 4pm on Wednesday 24th April. Please see Mr Arnold if you require more information. There will be sessions running for English Supported Study tomorrow (Tuesday) morning and afternoon and Wednesday morning in the Languages Faculty. This is a slight change to timetabled arrangements. Mrs Cruikshanks will be offering an additional supported study session for all pupils studying French. The session will run on Tuesday 9th April 10am-12:30pm, the focus will be on listening and writing skills. If you are sitting N5 Biology, or your child is and you are looking for ways to support them, Mr Mitchell has recorded a range of tutorials on YouTube for the entire N5 Biology course. More details available by clicking in the News section of the App. A reminder that Supported Study continues today from 10am with Higher Biology and N5 Physics. Tomorrow at 10am there’s Higher Chemistry, Biology & Physics and N5 Biology and History, with N5 Biology, Chemistry & History in the afternoon from 12.30pm. We are currently passing Abington and expect to be back at Lornshill at around 22:15. We are making very good time and hope to arrive back earlier than expected between 22:00 and 22:30. We had will update in more detail in the next hour. We have just left Blackpool and are currently on schedule to return for 23:30 as planned.